Each year, we have the considerable fun of creating new annual collections. We start the process in spring when our horticultural experts pot up various annuals (and sometimes a few perennials, too) to create eye-catching, high performance, ready-made plant combos for patio pots. The team that creates our annual collections considers everything from color to mature plant size, and they try different combinations until something pleasing develops. In general, our staff members begin with the idea that each collection needs a “thriller” (a tall, upright variety), a “filler” (something mounding to fill the middle), and a “spiller” (a cascading variety that trails over the side of the pot). After that, some preference is given to incorporating annuals that are new introductions or rediscovered gems because, like new toys, they’re fun to play with. Beyond that, our experts have at hand a wide variety of the annuals we offer (plus, occasionally, a perennial or two). Before a collection can be created, it’s essential that the creator take into account the form, foliage, blossom type and color, and the mature size of each individual plant being considered. From there, our staff members get to work, trying this with that, and that with this, until something pleasing develops. But the real test is just about to begin. Annual collections growing in the hoop house. New collections are corralled in the relative shelter of a hoop house here at the farm. Out of public view, we let them grow as summer progresses, providing regular water and occasional fertilizer to encourage good growth. If some plants, such as a particular coleus or potato vine, show rampant growth, we pinch them back to promote better branching, or prune here and there to keep a plant in proportion to its neighbors. 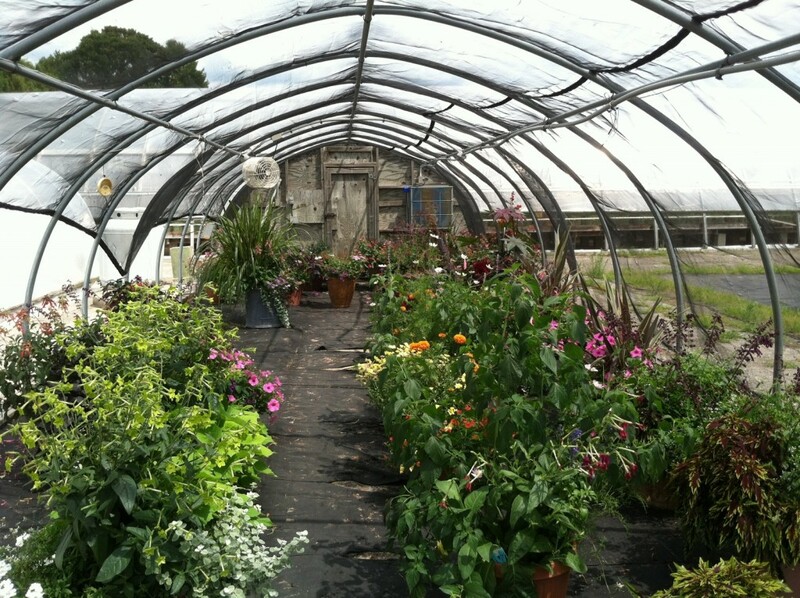 In late July or early August, a group of staff members tours the hoop house and assesses the combos. The most successful are those that have grown well together so that individual elements are healthy and happy, and the overall effect is one of colorful synthesis and visual harmony. These collections are flagged for photography, and as soon as collections are deemed to be looking their best, we schedule a series of photo shoots. Photo shoots are fun, but also lots of work. Blue skies always provide a beautiful background. For each outdoor shoot, we beg Mother Nature for an overcast day (because it provides the consistent lighting that’s best for photography) or, if she can’t manage that, for blue skies, which always make an irresistible backdrop no matter what’s being photographed. 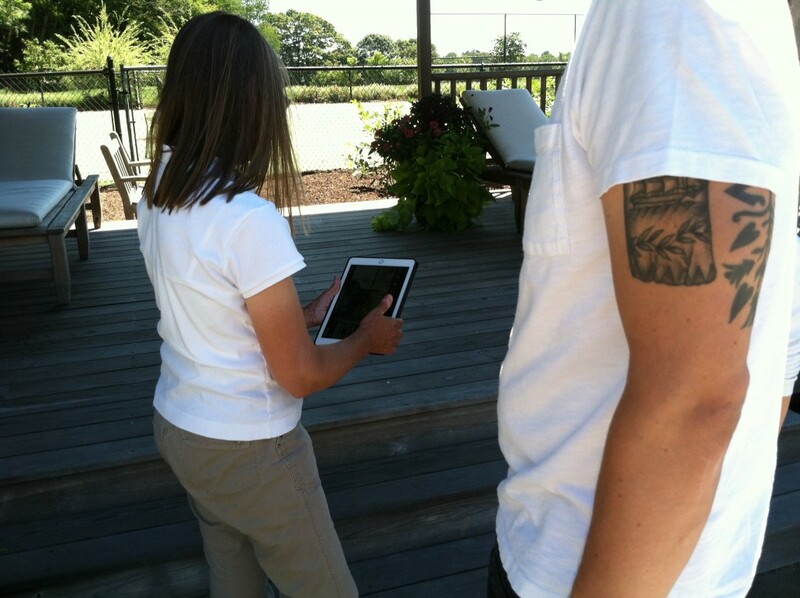 Standing in the shade of the pool house, the photographer and a few staffers check the shots as they’re taken. With photographer in tow, and with the color and structure specifics of each new annual collection in mind, we review the possible locations. 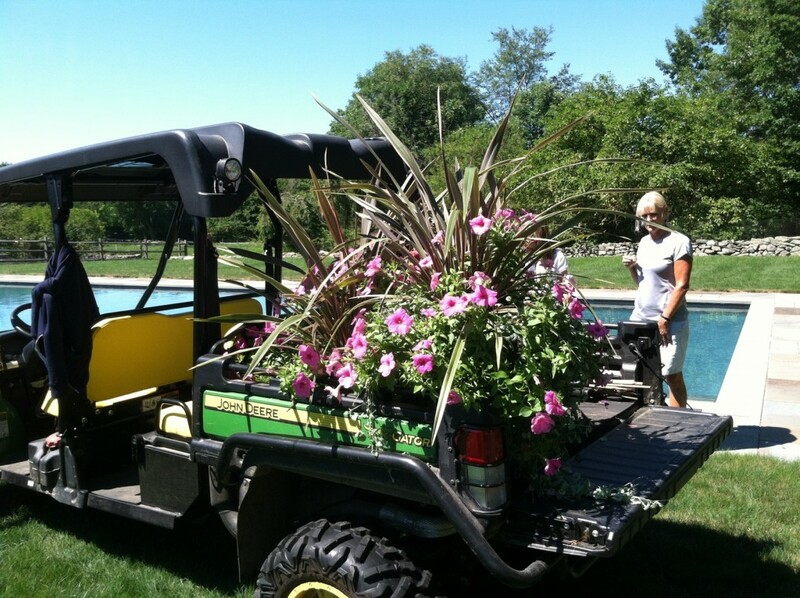 At the farm, that means buzzing around in our golf-cartlike Gator surveying the shady lane with the stonewall, the sunny stretch by the Lloyd Border, the stone steps, the porch on the cottage, the pool area, the field, and so on. When individual sites are selected for each collection, we head back to the hoop house and load up the pots for transportation to their assigned locations. It takes many talented staff members to bring each shot together. This season, Barb Pierson, our Nursery Manager, and Ray Hinman, our Product Development Coordinator, were on hand to help with hefting the pots and tending the plants. (“Tending” largely involves pinching off any faded blooms and browned leaves and getting vines like trailing potato vine to drape in the direction the photographer thinks is best.) Graphic designer Teresa Fox helped with camera angles, composition, and lighting, and she could often been seen holding aloft the scrims that are used to provide shade or redirect natural light. (This can be quite a workout in a stiff breeze!) Eliot Wadsworth, our marketing director, oversaw this summer’s shoots. Sweeping away stray pebbles that could show up in a photograph. Cameras are both beloved and despised because they capture the smallest details. We get richly saturated colors on the blossoms we love, and the texture of various types of foliage comes through, but the lens also captures stray pebbles and downed leaves on poolside flagstone, weeds growing at the foot of container pot, and grass that’s too high or as burnt as toast in this driest of dry summers. So every shoot involves a fair amount of fussing to make each site as free of imperfections and distractions as possible. (We want you to look at the collection, not the dandelions.) Members of the crew take up brooms, rakes, and scissors, and work together to primp, pull weeds, sweep, and trim grass until we get things right. The result of a day’s work — a stunning photograph! But even when we get a stunning photograph, the most important thing to know about our annual collections is something that cannot be captured in a single frame. 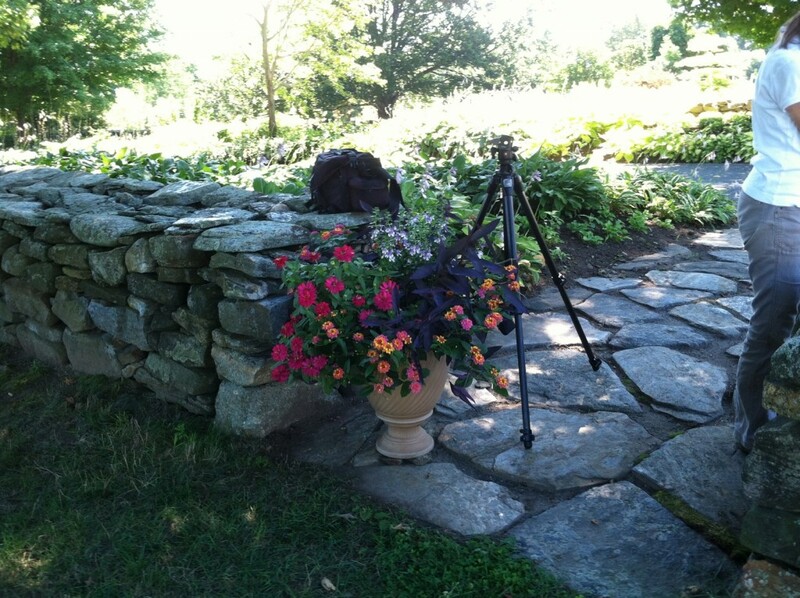 The truth is anyone can combine a group of plants and arrange them to look marvelous on the day of a photo shoot, but the test is whether the collection will look just as great over time. That’s why we trial our plant combos in the first place. Our collections not only go together, they grow together beautifully from spring to frost, or we wouldn’t offer them. Getting annual collections right can be frustrating. Some collections start out as terrific ideas, but the plants simply don’t work together they way we want them to. Those collections are discarded, and we go back to the drawing board the next year. 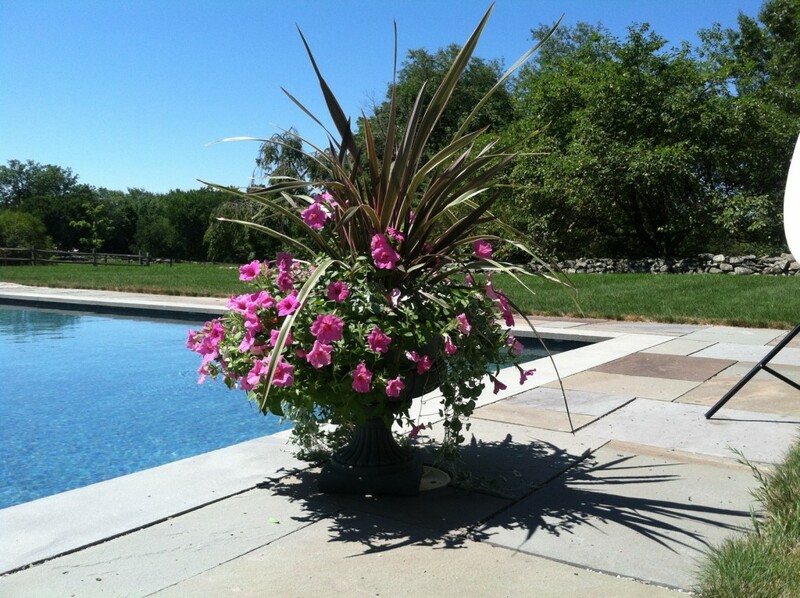 Our trial and photography process is designed to ensure that your patio pots will look as beautiful as ours do all season long – not just in the pictures.